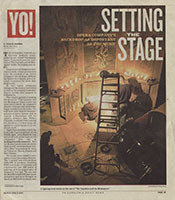 “Inspirational set design has been characteristic of local productions since the creation of the Opera Company’s own set shop in 1993 and has helped the company gain a national reputation for more than great music. 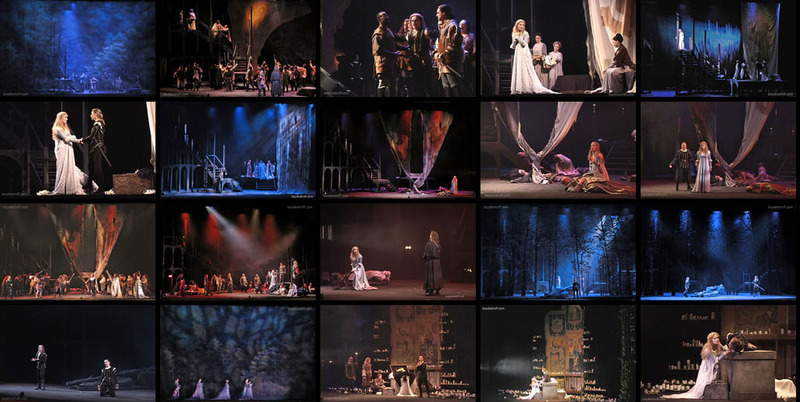 In fact, opera companies throughout the country have taken to renting the company’s sets once they’ve served their purpose in Philadelphia. 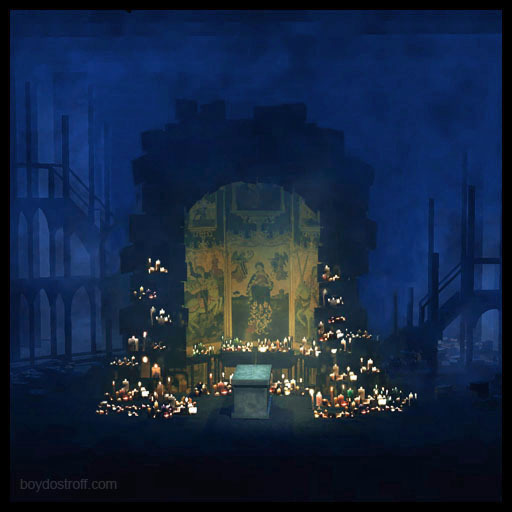 The creative process of creating the street for ‘The Capulets and the Montagues’ began a year ago when Boyd Ostroff, the company’s director of design and technology, began preliminary sketches. 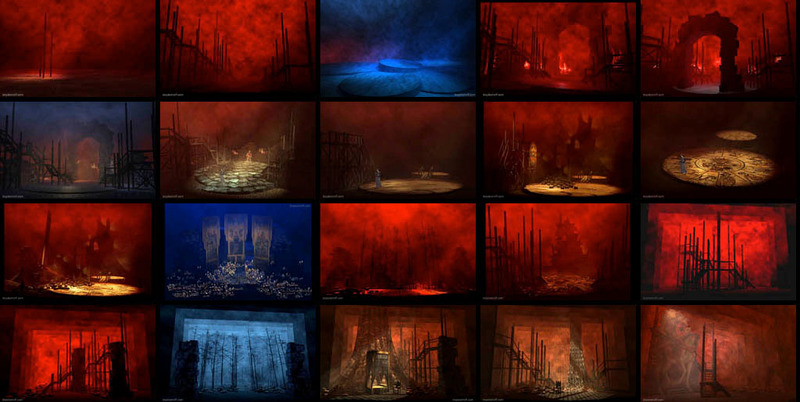 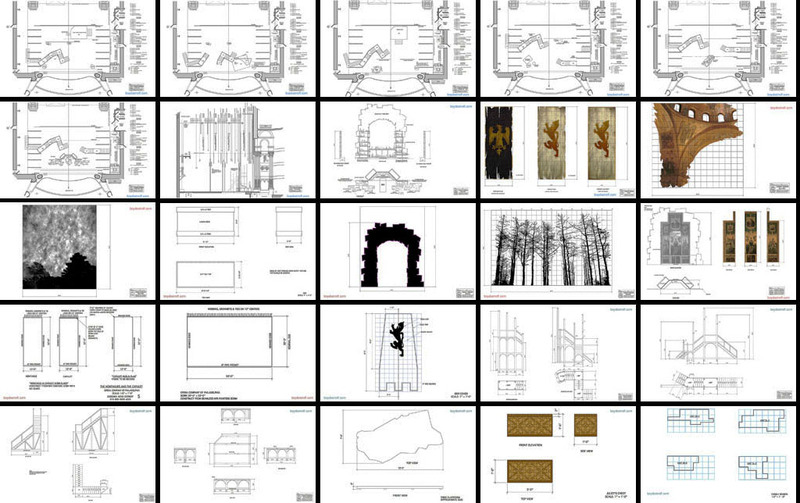 Ostroff made more than 90 computer-generated scene designs and, in months of discussions with the opera’s director, Kay Walker Castaldo, developed their concept for the show – a love story set against a continuing war in an uncertain world. 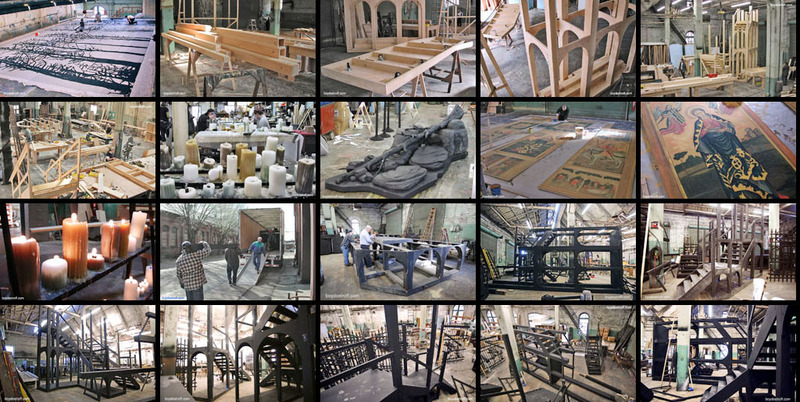 … During construction in the company’s set shop at the old Frankford Arsenal, technical director John Callahan – who knows every inch of the Academy of Music’s idiosyncratic backstage – says it’s essential that his 30 men be able to move and reassemble them under pressure.